An integral skill that you need in order to succeed in the world of online poker and beyond is the ability to quickly calculate and act upon basic poker math. It is all well and good learning special poker strategies and techniques but without such a fundamental skill, it is impossible to win big. Cards that give a player the winning hand are known as ‘outs. Calculating how these outs might come about is therefore an essential skill for a successful poker player. The key is to be able to put your opponent on a range of likely hands and once you have gauged this approximate range, it is much easier to calculate your poker outs. It should be noted, however, that calculating outs is by no means an exact science and so you should apply the idea of implied odds; the probability or likelihood of your opponents’ hand. Half outs- You must be able to spot half-outs, which is essentially when you will make your straight, yet still fall victim to your opponent’s flush. Hidden outs- These are outs which may not immediately improve your hand but may hurt your opponents’. Calculating and identifying your outs will soon become second nature to you and once you have mastered this skill the rest will come. Without even thinking about it the pot odds will come to you and the decision to continue with a hand will be an easy one. While poker can seem a complicated game at times, the fundamental basis for success in the game is the ability to identify and invest in good hands and odds. Pot odds take into consideration the number of outs you may have and enable you to calculate the amount of money a player needs to call in order to see another card. 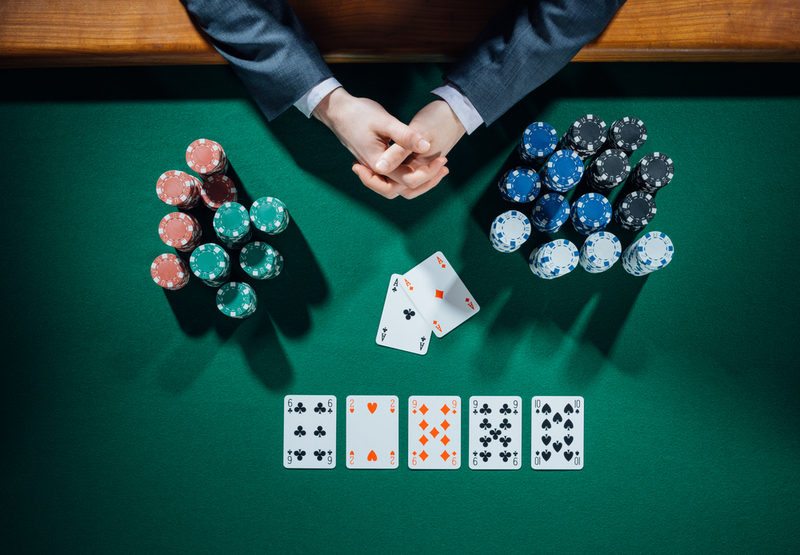 In poker, pot odds can be read in terms of fractions, percentages and ratios, for the purpose of calculating the maths behind improving your hand. On a basic level, a player should divide the number of times they won’t make their hand by the amount of times they will do so. This can then be expressed in terms of fractions, percentages and ratios. For example 1/3, 33% and 2:1. In a game situation, a player should calculate the total amount of money that was already in the main pot with the additional funds put forward in the current betting round and divide this by the amount they have to call. In a match situation, players obviously need to quickly calculate and determine pot odds and decide their plan of action for the betting round. The ‘Rule of Two and Four’ can be employed to achieve this, in which the player multiplies the number of outs that they have by four with two cards to come. This will provide them with an estimated percentage, providing them with the probability of them making their hand. Overall, calculating outs and pot odds should guide the successful poker player’s every decision and are fundamental skills necessary in the poker world. Using pot odds will help you gain a strategic advantage over players who do not have this basic grounding. 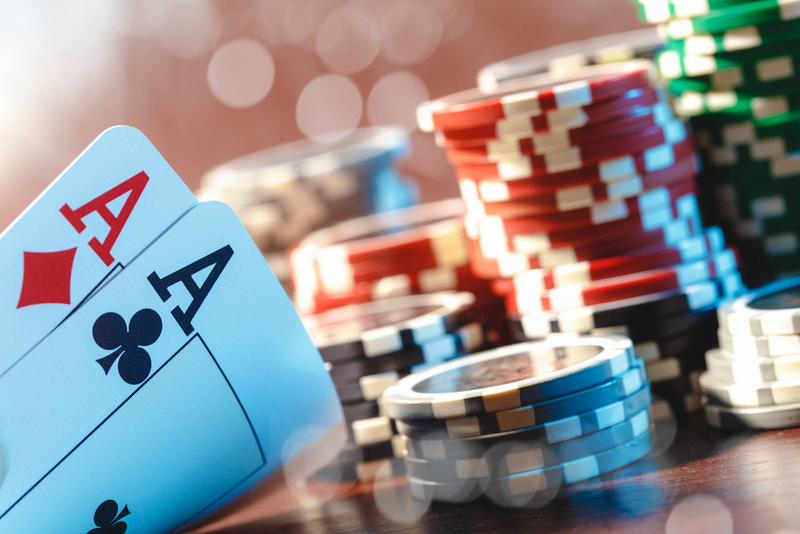 Poker is inevitably a long-haul game and so possessing such skills will enable you to pursue a successful long-term poker strategy that will reap greater rewards. Posted in Poker | Comments Off on Why outs and pot odds should guide your every poker decision.